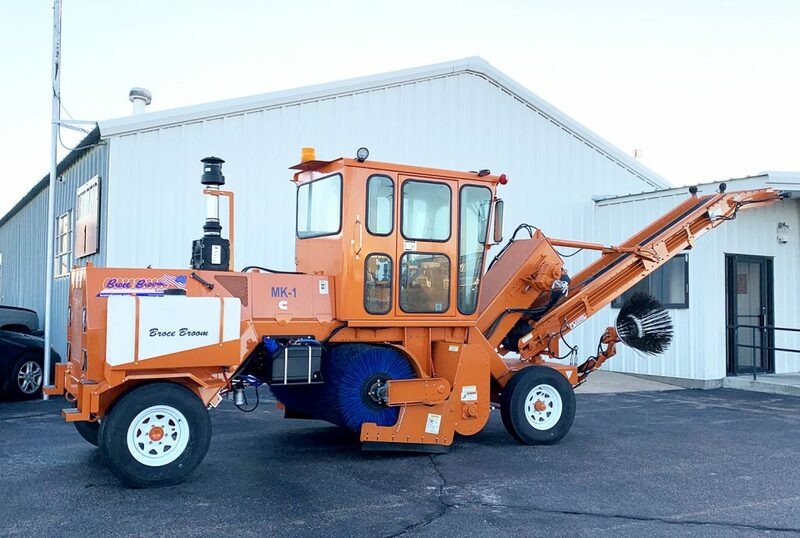 The MK-1 is the big daddy in the line of Broce construction sweepers.This all-in-one sweeper will save you time and material by combining both the sweeping and loading in one pass. The unique design and conveyor articulation make it easy to load any truck or bucket loader from the front or from either side. The MK-1 is ideal for clean up after a milling project on local roads and highways but can be used for any road clean up / cold planing task your city and municipality might have. You can download parts catalogs for each model of MK-1 sweeper below or on the parts and service page. If you have questions or can’t locate what you need, you can email the parts and service team or give them a call at (877) 227-8811.